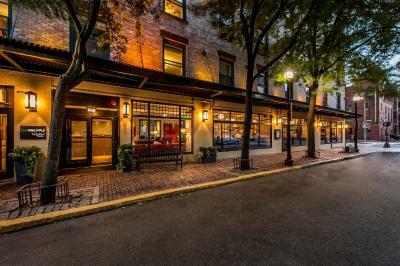 Lock in a great price for Staypineapple, A Delightful Hotel, South End – rated 8.2 by recent guests! The super comfy pillows. I also liked how helpful the staff was with directions. WE liked the bed it was very spacious and comfortable. The room was quiet and the very clean. The hotel staff were very friendly and welcoming. We were pleasantly surprised that the hotel offered 20% off early dinner. The dinner was very good and the drinks were great. The room was adorable and the restaurant downstairs was awesome. Great staff!!! Great location! Right near everything we wanted to do. Within walking distance of some of our favorite parts of Boston. The bed was comfortable, the room adorable, staff friendly and the hotel bar/restaurant was so great! It was so beautiful and we loved the individual comforters! Our room was very clean, the bed is amazingly comfortable! After being out all day visiting the city the comfort of the room was greatly accepted. Staff is very friendly and informative! I also love the fact that the donate to animal shelters as well! Staypineapple, A Delightful Hotel, South End This rating is a reflection of how the property compares to the industry standard when it comes to price, facilities and services available. It's based on a self-evaluation by the property. Use this rating to help choose your stay! One of our best sellers in Boston! Located in Boston's historic South End, this European-style boutique hotel offers modern guest rooms with free WiFi. 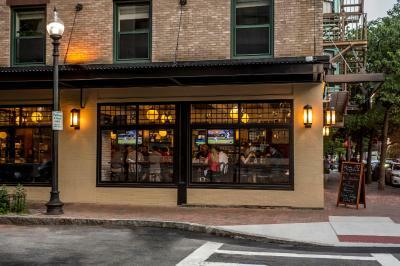 Staypineapple, South End is within walking distance to many popular restaurants and attractions. 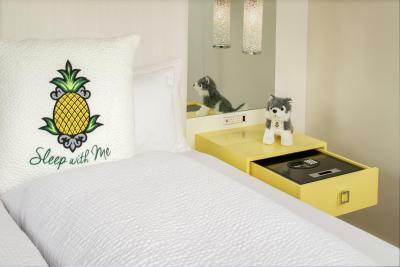 Every room at The Staypineapple, South End features a flat-screen TV and iPod docking station. The private bathroom includes a walk-in marble shower. A work desk and telephone with access to the 24-hour front desk are provided for guest convenience. The Trophy Room, located on site, offers American bistro cuisine and features craft cocktails, draft beer and a large wine selection. Dinner is served daily and brunch is offered on weekends. 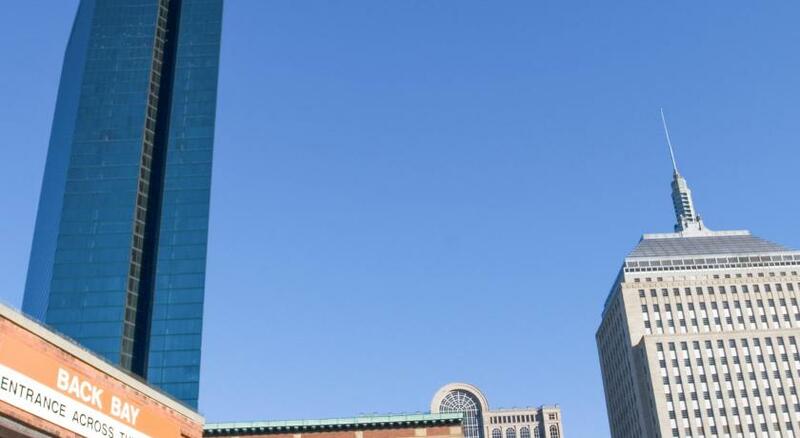 Only steps from the completely nonsmoking property are some of the city's most famous sites. The scenic Back Bay area, as well as the unique shops and gourmet restaurants of Newbury Street are within 10 minutes' walk. 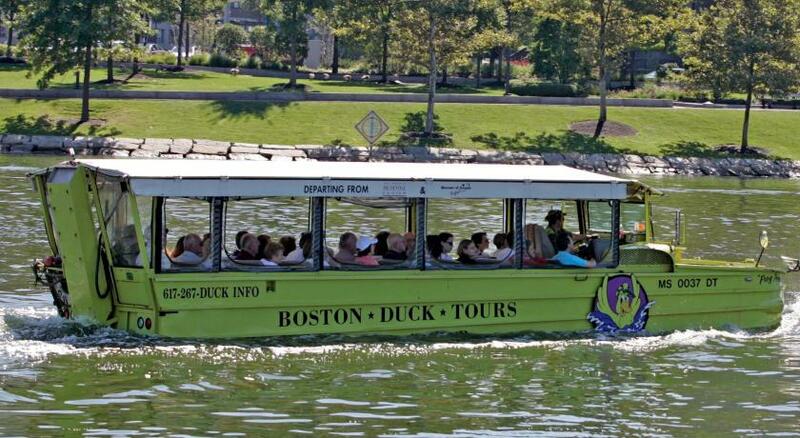 South End is a great choice for travelers interested in parks, culture and walking. When would you like to stay at Staypineapple, A Delightful Hotel, South End? Hotel surroundings – This neighborhood is a great choice for travelers interested in parks, culture and walking – Check location Great location - show map Guests loved walking around the neighborhood! House Rules Staypineapple, A Delightful Hotel, South End takes special requests – add in the next step! Staypineapple, A Delightful Hotel, South End accepts these cards and reserves the right to temporarily hold an amount prior to arrival. Please note, guest must be a minimum of 18 years of age to check in. The property will be going through renovation works until 2018-08-03. During this period, guests may experience some noise or light disturbances between 7:00 hours and 17:00 hours, and some hotel facilities and services may not be available. A stylish (pineapple-style :) hotel with comfortable and very cozy rooms and a nice restaurant, a 20 minutes walk from the center of Boston. Rather expensive, but that could be due to the Saint Patrick's Day. Got an early check-in free of charge thanks to the girl at the reception. It was a pleasant stay, so I would choose that hotel again once I return to Boston. I was charged 15 extra per day convenience fee that should have been shown in the quoted fee as it is a fixed charged. This is a dirty trick to win the Booking comparison. Also no chair on the room to sit to write something or put on my shoes. Helpful, friendly staff. Extremely comfortable bed! A vibrant colourful place. The pineapple theme is quirky but fun and there was even pineapple water and cake in the lobby! Nice bedroom, good wifi and in a safe district easy walking to Boston Common. The bathroom is too small and cramped. I got water everywhere when I used the tiny sink and I could barely turn around. Also half the TV channels did not work and they kept saying that a tech had been called, but it was not fixed while I was there. The bed was comfy and the staff was mostly good. The gentleman at the front desk when I checked out was very polite and helpful. I stayed at this place a night before an an important bussiness meeting; my room was in the 2nd floor and I could hear all the crowds in the first floor (there’s a bar-restaurant). It was pretty noisy until about 2am; unfortunately it was not a very restful stay. Location is great. Very clean. Nice place and very friendly staff.